Congratulations! 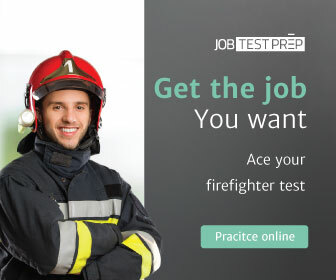 You’ve completed your probationary period with your fire and EMS organization and with it all the training and development activities prescribed by your department. You’re now, no doubt, chomping on the bit to advance in your chosen career, but where do you start? See Related: I was a “college boy” fire officer and damn proud of it! Before you get too far ahead of yourself, talk about your career aspirations with those closest to you. It may be your spouse or significant other, and maybe your children. Why? Because time spent on professional development, whether it’s time spent attending a class or time spent working on a class paper in the spare bedroom upstairs, is time that you can’t give to those important people in your life. And that’s already an issue, what with you being on duty and away from home for your 24-hour shifts. Be proactive and take the time to not only discuss where you want to go, but how you’re going to get there in planning for your fire service career. For example, you want to become a driver operator and there’s a course coming up that’s being presented by your state’s fire training agency. By all means get all the information necessary to enroll in the course, but talk it over with the rest of your team before you take action and enroll. You, and they, need to understand that you’re all in this for the long haul and that there is going to be equal give and take on everyone’s part. You can also use this time to your advantage as a parent because you won’t just be telling your children about the importance of studying and getting a good education, you can be their role model. You can also be their role model for being a life-long learner, a skill that will benefit them in the future as well. If your department does not have a specific program for professional development to follow, you’ll need to do some research up front before you get started. Start by identifying what positions are available for your career path and what are the requirements to attain those positions. Is there specific training required? Are there any prerequisites such as a formal education degree — like an associates or a bachelors degree — or time in grade that you must satisfy? A good place to start your search is at the National Fire Academy’s Fire Service Higher Education (FSHE) website. There you’ll find a wealth of information regarding the program’s goals and objectives, degree programs applicable to the fire and emergency services community, contact information for institution of higher education partners, and a useful model to assist you in your career development planning efforts. Contact the organizations in your state that provide firefighter and other emergency-services training — these might be the state fire marshal’s office, the department of fire programs, or the office of EMS — to obtain information for training programs that you will need to pursue your goals. Many of these organizations and agencies have become more proactive in developing model curriculums and resources that can aid you in developing your individual career development program. The National Fire Academy and various state fire training programs have collaborated for many years on a program dedicated to enhancing career development opportunities for firefighters. NFA offers a two-day program for fire and rescue personnel from specific states. These courses strengthen a state’s fire service community through education, personal networking, and a shared collegial experience. State fire training agencies sponsor the two-day program in cooperation with NFA. The state agency selects the courses and recruits and enrolls the students according to established student selection criteria. NFA hosts the program and provides the instruction and course materials. Course materials and lodging are provided at no cost to participants from career or volunteer departments. Meal costs and transportation expenses are the responsibility of the individual participants or the sponsoring agencies. This is a really great program that I went through early in my career. First, you get a taste of the National Fire Academy campus and the wonderful staff that’s there to assist you in your professional development (be sure to take a tour of the Learning Resource Center). Second, you’ll have an opportunity to start developing your own professional network by meeting other firefighters from your state. You’ll likely wind up making some fire service friendships that will last your entire career. If you want to get somewhere, you have to have directions. And reaching your professional development goals is no different. You can increase your chances for success by using short-term goals that you can realistically achieve thereby giving you opportunities for success that you can build upon. For example, one of your short-term goals may be to become a paramedic. Here’s how you can create a map to get you there using the SMART model. Specific: Become a Nationally Registered Paramedic. Measureable: Obtain certification as a paramedic through your state’s certifying agency. Action Oriented: Complete paramedic training and clinical rotations through the local community college system. Realistic: Attend paramedic training and clinical rotations using 24 hours of off-duty time weekly. Timely: Complete the training program and certification process by January of 2014. Congratulations again on completing the first step in your career development, the completion of your probationary period. You’ve chosen what can be a wonderful and rewarding career, and it’s a career with an ever expanding body of knowledge that will challenge you in different ways every day. You will greatly enhance your abilities to meet those challenges by taking action to become a life-long learner and your first step should be to map out your course. Good luck! Next: Fire department performance measurement?